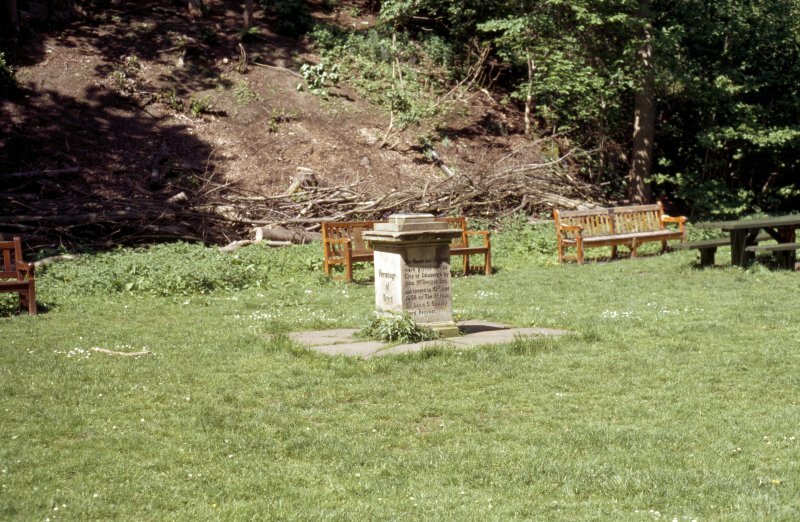 View of pedestal (designed to support an armillary sphere), in front of Hermitage of Braid House. Hermitage of Braid. 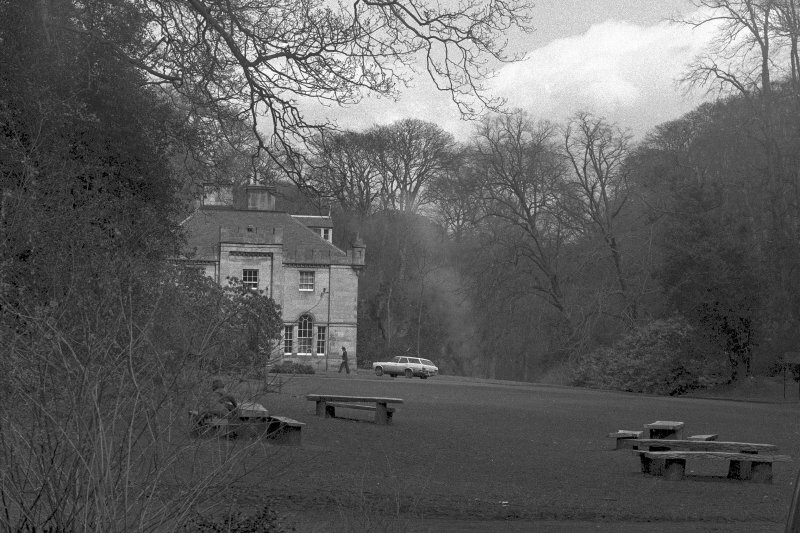 General view of garden and house. 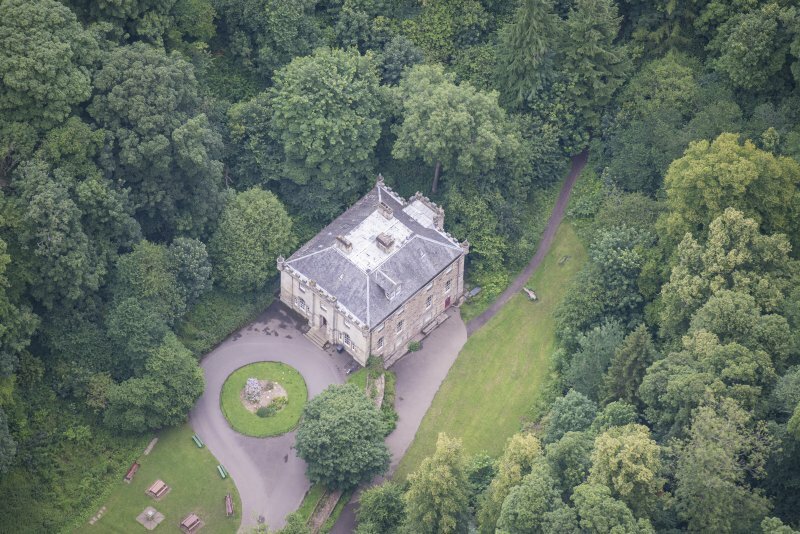 Oblique aerial view of the Hermitage of Braid, looking NW. 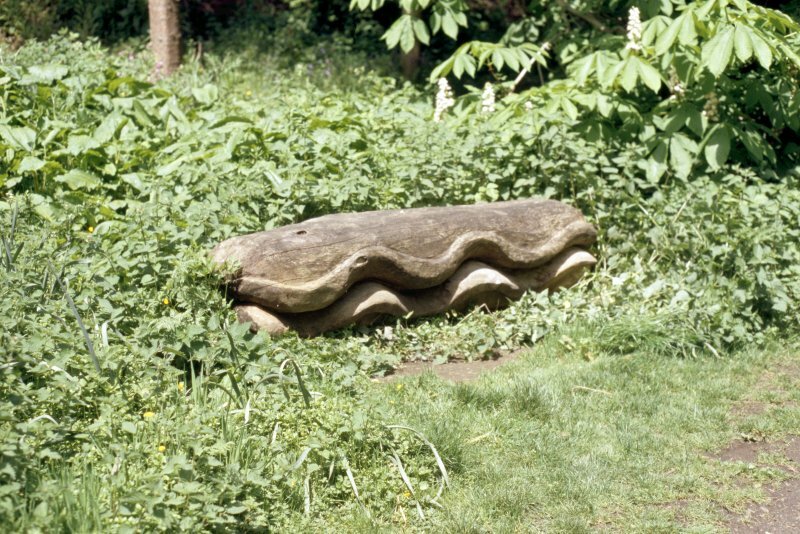 View of sculpture of a clam, on nature trail from Braid Road to Hermitage of Braid House. Hermitage of Braid, interior. 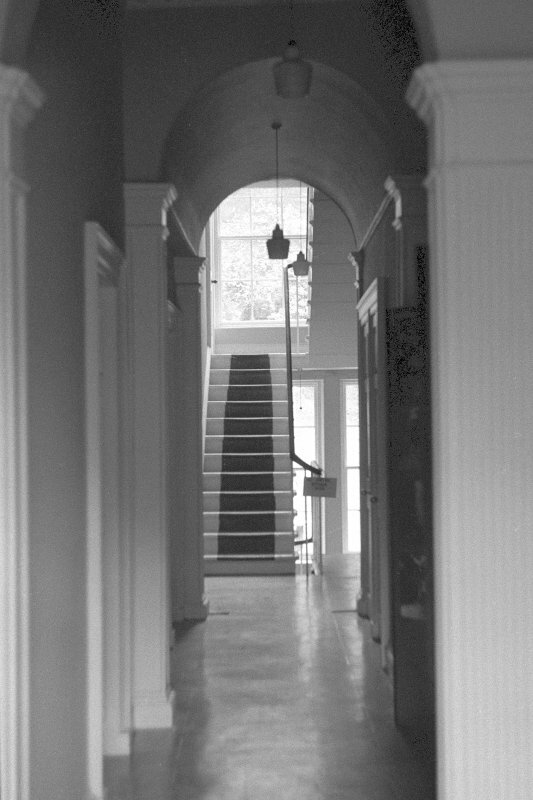 View of hall. 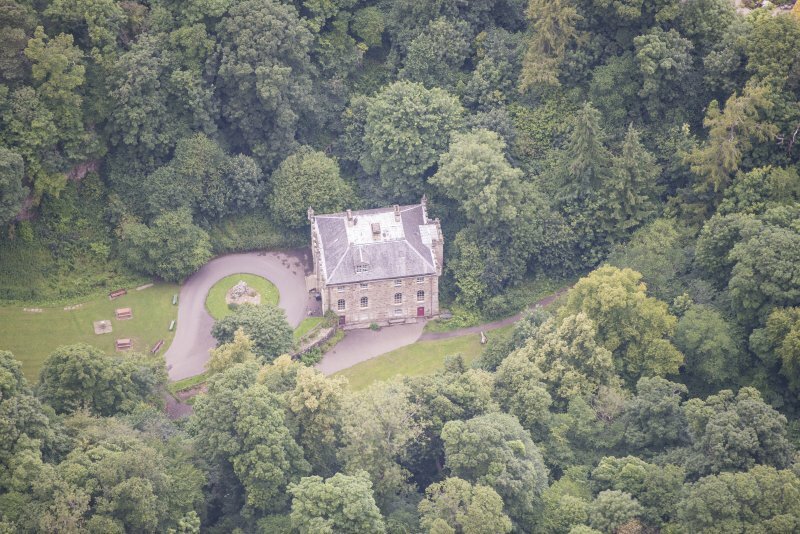 Oblique aerial view of the Hermitage of Braid, looking WNW. 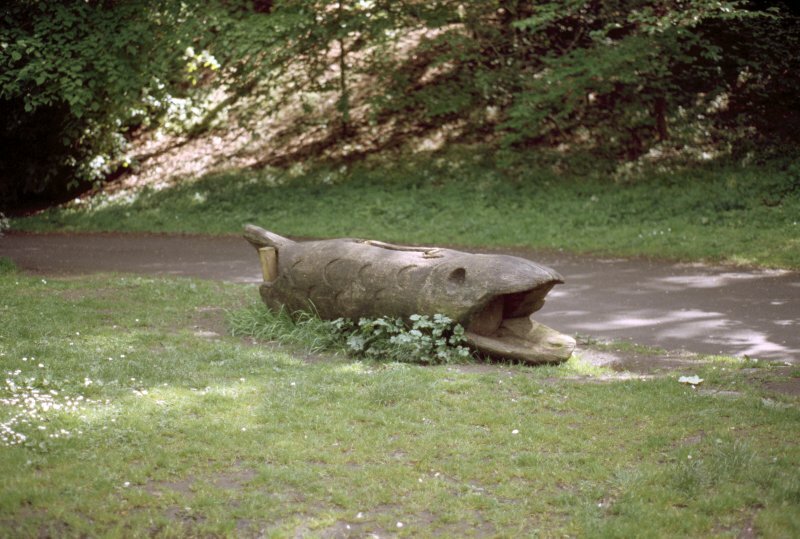 View of sculpture of a fish, on nature trail from Braid Road to Hermitage of Braid House. 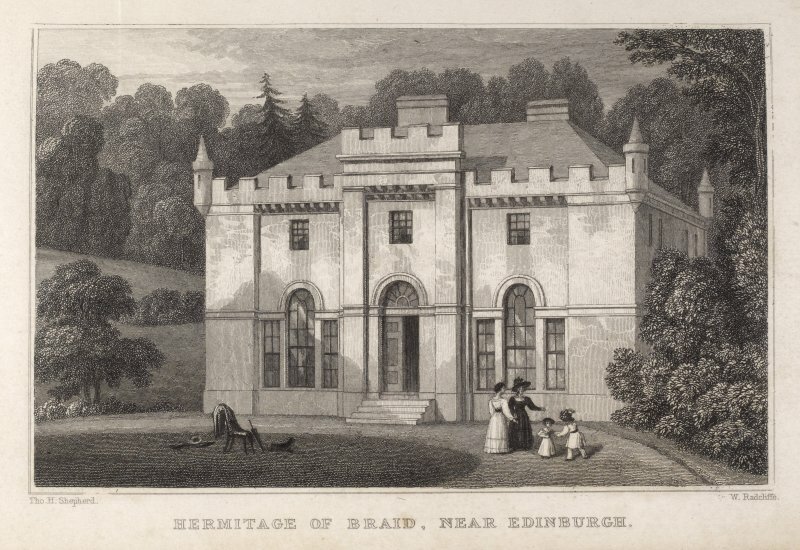 Hermitage of Braid. General view. 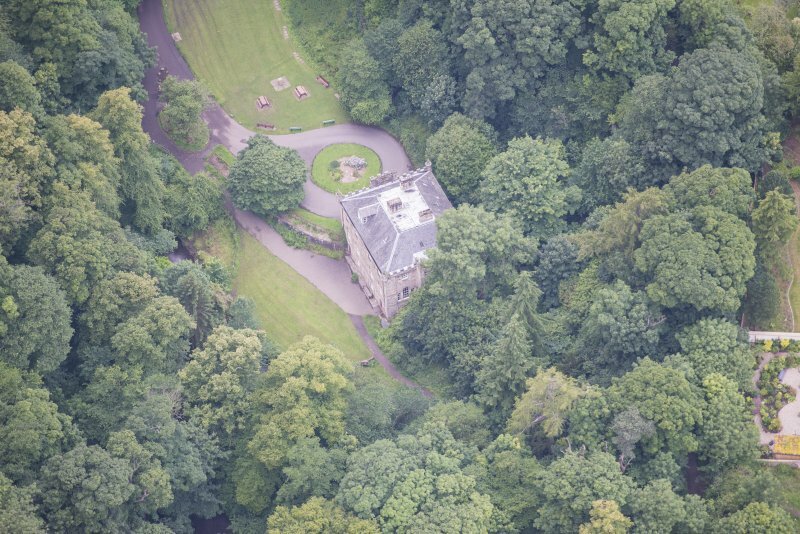 Oblique aerial view of the Hermitage of Braid, looking ENE. 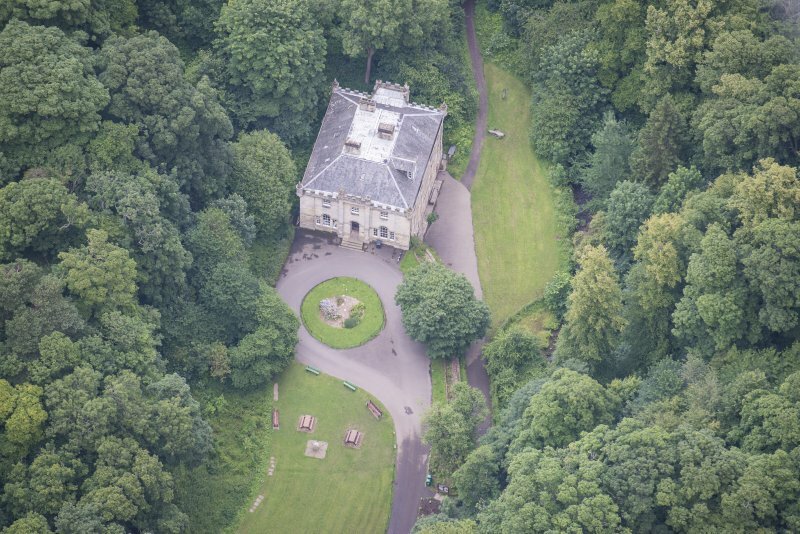 Oblique aerial view of the Hermitage of Braid, looking W.
View of sculpture of a fox, on nature trail from Braid Road to Hermitage of Braid House. 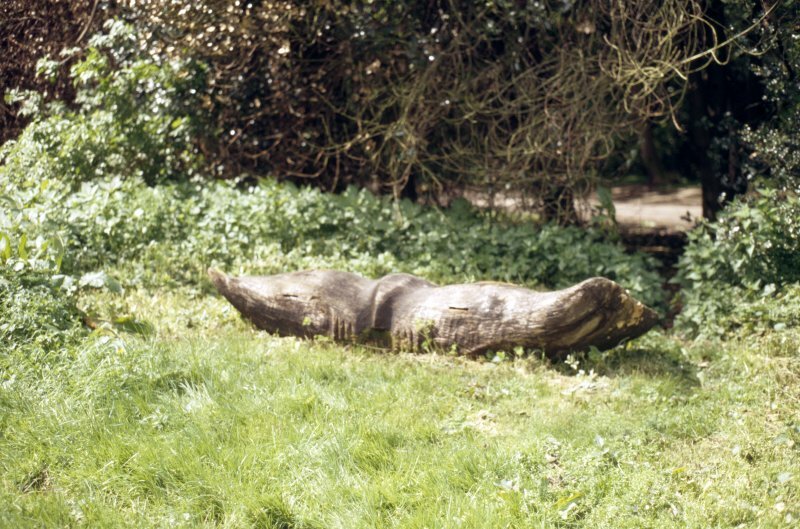 View of sculpture of a badger, on nature trail from Braid Road to Hermitage of Braid House. 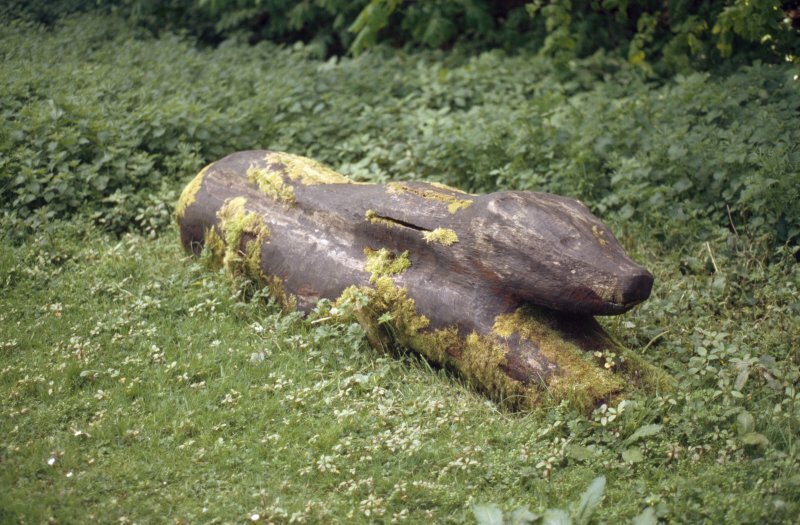 View of sculpture of a mole, on nature trail from Braid Road to Hermitage of Braid House. 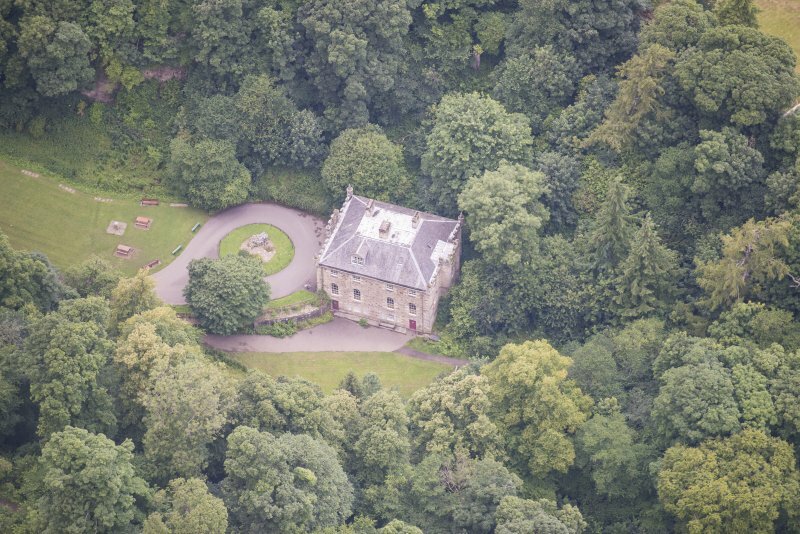 Oblique aerial view of the Hermitage of Braid, looking NE. 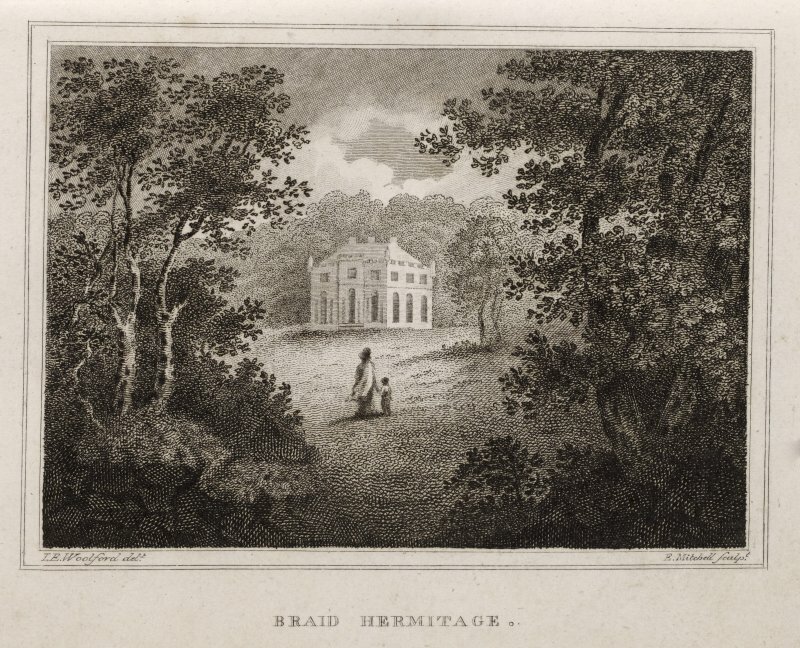 Hermitage of Braid. View of entrance front. For nearby (and presumably associated) icehouse (NT 25051 70247), see NT27SE 438. For (presumably associated) dovecot at NT 24842 70301, see NT27SW 28. For associated lodge (69B Braid Road: NT 24472 70264), see NT27SW 1650. For (presumably associated) footbridge (over Braid Burn, at NT 24473 70228), see NT27SW 1651. 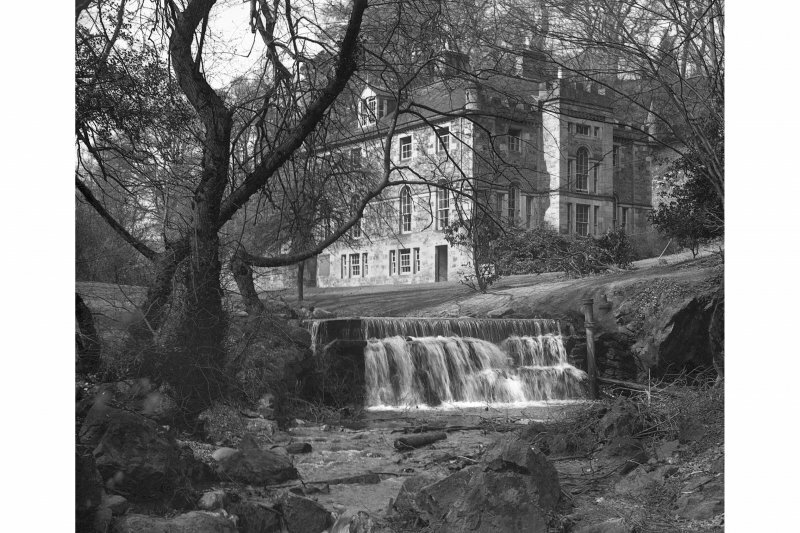 This beautiful spot is to the southward of the Borough-muir, about two miles from the city of Edinburgh, and it is the delightful residence of Mr. gordon. It stands concealed in a narrow vale, between two ranges of hills of a low and irregular figure, and is surrounded with wood. The small rivulet which has the name of Braid burn glides gently through the middle of the vale in a meandering direction. 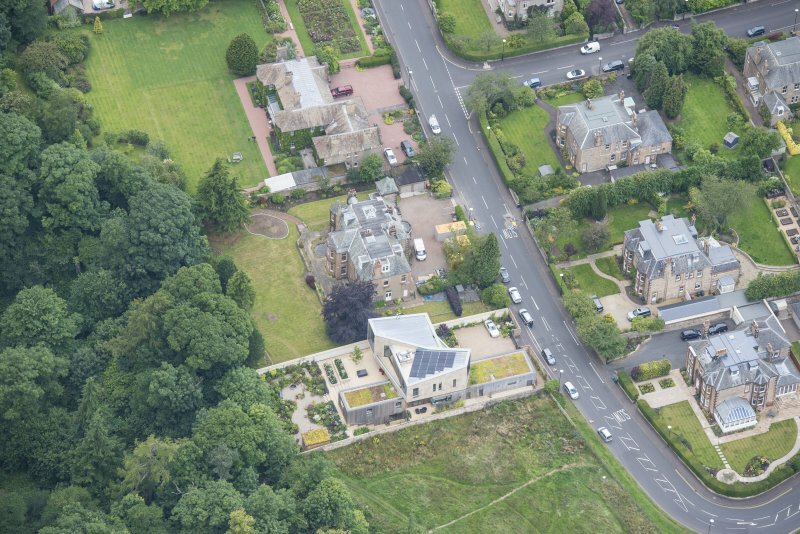 This pleasant dwelling is surrounded by a stone wall, with a variety of trees and an intermixture of underwood. Plantations also ornament the eminences which rise on each side of it; while the naked rocks, which peep in different places through the trees, certainly add considerably to the romantic nature of the scenery. These works of nature far transcend those of art; the artificial plots and little niceties of botanical ingenuity dwindle into nothing and insignificance before them. The human mind is chiefly delighted with the contemplation of such objects as are sublime or beautiful. The walk along the burn of Braid is romantic in the highest degree. The admirer of nature's work will find many things justly worthy of his contemplation. Blackford hill rises near it on one side. Pentland heights overhang it at a small distance on the other. On the south west are Braid-crags, and a tract of open pasture grounds. Used as a scout hostel for some years: now a countryside information centre. A square pedestal surmounted by a bronze mounting plate for an armillary sphere assembly (removed). An armillary sphere is an ancient instrument consisting of an arrangement of rings, all of which are circles of the same sphere, used to show the relative positions of the celestial equator, ecliptic, and other circles on the celestial sphere. 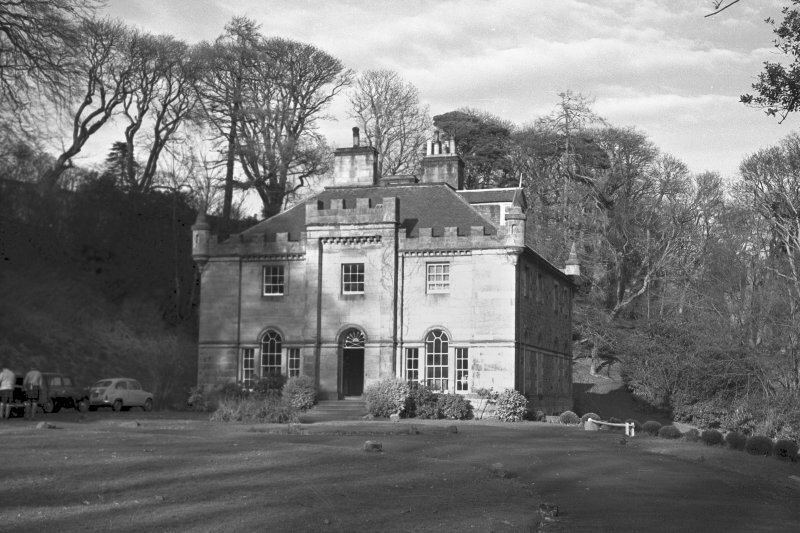 THE HOUSE AND GROUNDS / WERE GIFTED TO THE / CITY OF EDINBURGH BY / JOHN McDOUGAL ESQ. / AND OPENED ON 10TH JUNE / 1938 BY THE RT. HON. / SIR LOUIS S. GUMLEY / LORD PROVOST. Five individual carvings of creatures: mole, badger, fox, fish and clam. 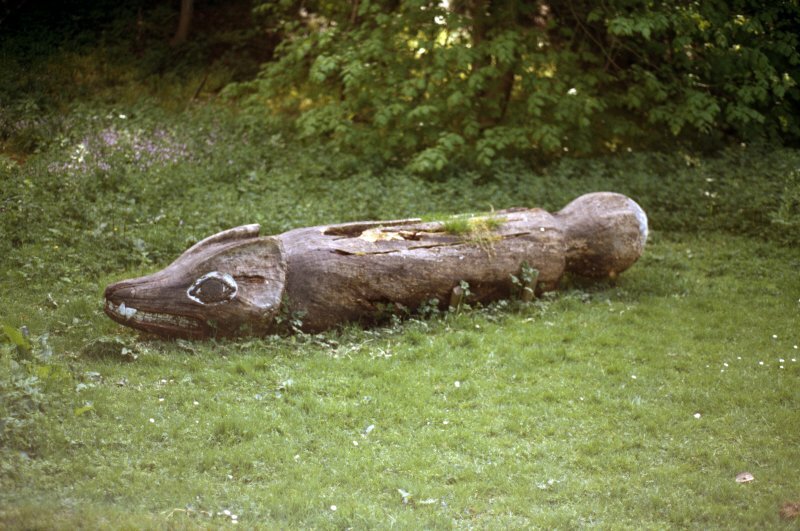 Each has been carved from a single piece of wood (tree trunks), laid horizontally to facilitate and encourage children to sit astride the creature. All works, with the exception of the clam are located in a feature garden adjacent to the nature trail. 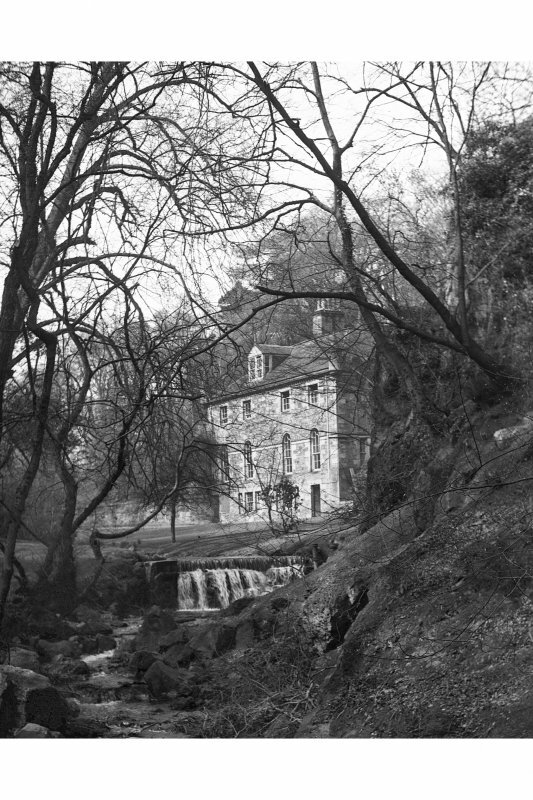 The clam is sited adjacent to the south elevation of Hermitage of Braid House. Commissioned as part of a project with musician-in-residence, the sculptures were intended to function as drums as well as play seats.